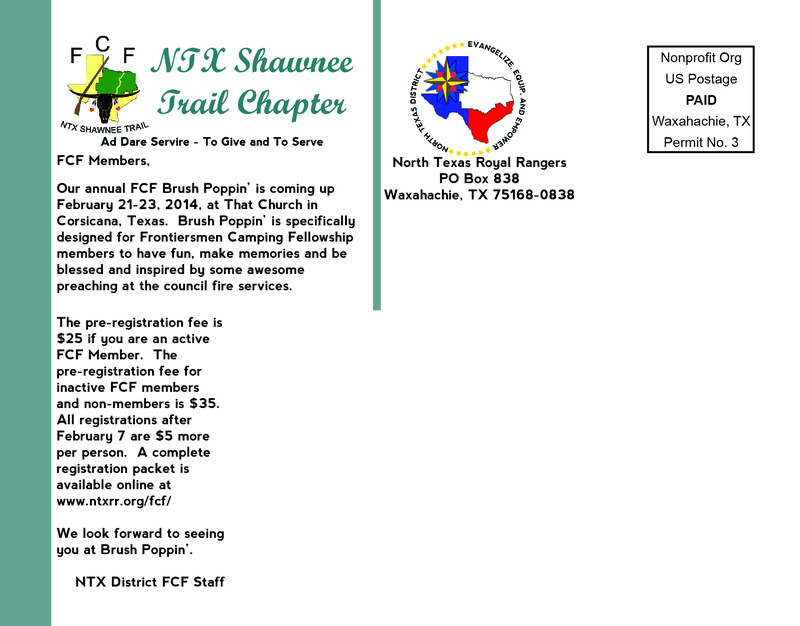 The North Texas Royal Rangers chapter of the Frontiersmen Camping Fellowship (FCF), known as the the NTX Shawnee Trail Chapter, hold an annual Brush Poppin’ Trace every year for members of FCF. The theme for the 2014 event was, To The Wilderness. 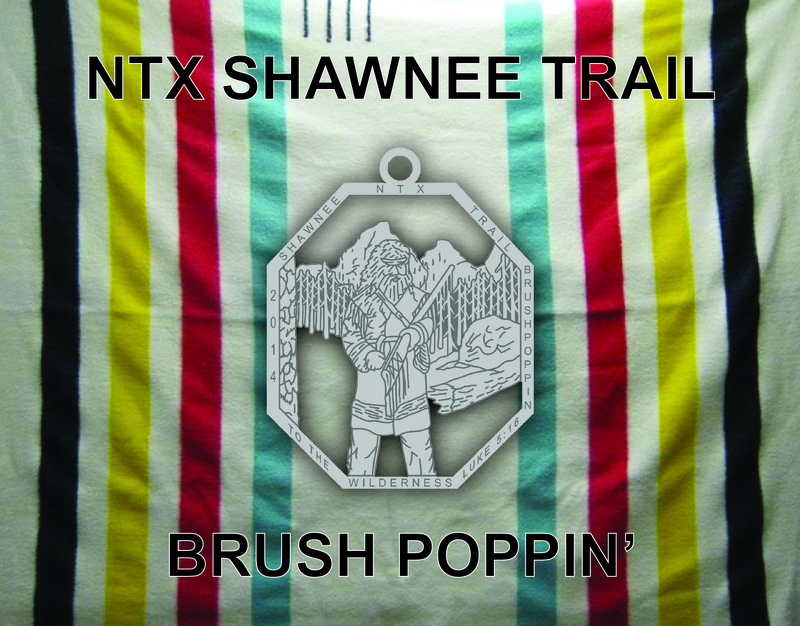 The inspiration for the front of the postcard comes from the historic Hudson Bay point blankets as the background with the event information and the medallion artwork in the foreground.